This question arrises often. Anytime someone hears the name, the conversation or train of thought goes as follows, “That’s so cute! What does it mean? It’s not about makeup? Is it about someone’s travels?” It’s like Pandora’s Box. So, here is Global Lipstick defined. The name itself is a marriage of strength and softness. Both traits inhabit a Global Lipstick reader. You delight in having balance in life overall. You’re most likely a trailblazer and yearn to leave your mark on the world – in whatever hue you fancy. You dabble in what’s mainstream but the real fun comes from your own unique discoveries. You are inquisitive, open-minded and a niche-carver. Style – Whether it be a one-of-a-kind piece of furniture, a fresh runway look or a vintage steal, we take it and make it our own. Food – adventurous palates! We thrive on foodie excursions. Any dine outing is an opportunity to visit one of the dozens of restaurants you’ve wanted to try, not where you just ate last week. Same rules apply to cooking and new recipes! People – influencers. We love to inspire and be inspired. Those highlighted here make statements and are exemplary to us that want to be better and do better. All topics are approached with a worldly eye. So, that’s Global Lipstick. Hopefully you come across something new and useful whenever you stop by. As always, thank you for reading. Now, back to the global goodies! 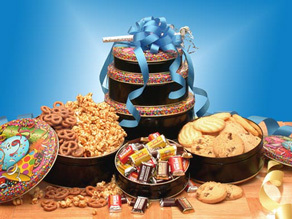 Since it’s a birthday week, today’s featured treats are celebratory. Not all are sweet but they are all eaten on that special day that only comes once a year. 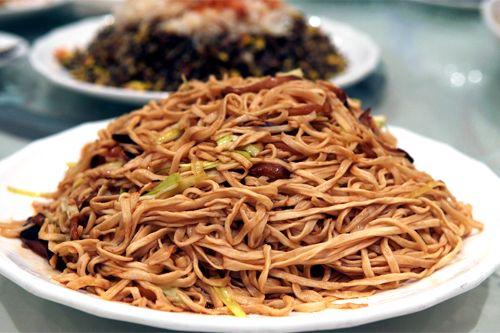 In China, Yi mein noodles, also called longevity noodles, are eaten in hopes of living a long life. They’re followed by longevity peach buns, a peach-shaped pastry filled with custard or red bean paste. For the kiddies in Australia, parents make fairy bread. It’s sliced white bread topped with butter and sprinkles. Towers are the dish of choice in Scandinavia. Their Kransekake is an 18-layer doughy cake made of almond rings. 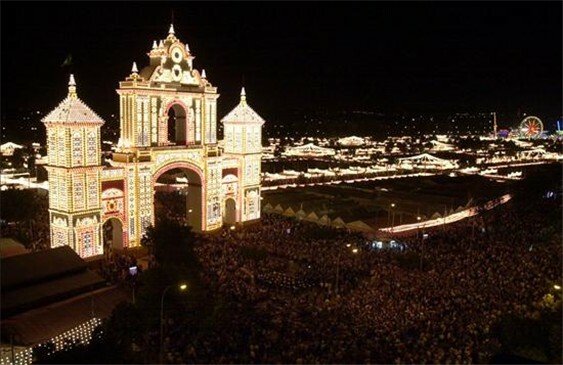 Its decorations are often patriotic and festive. In Brazil, Brigadeiros are a must. They’re petit sweets made of chocolate, condensed milk and butter. 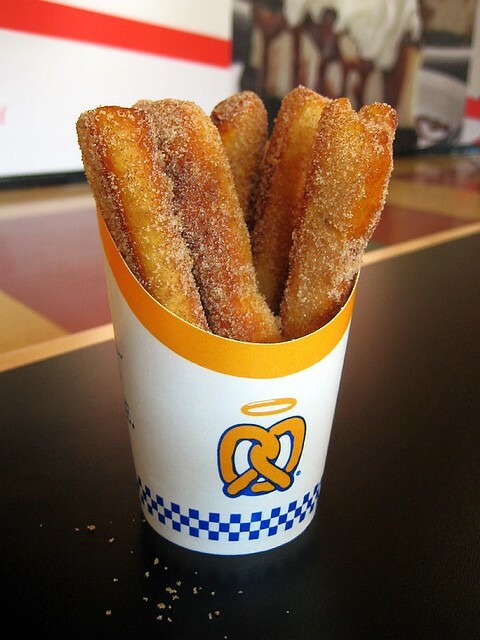 Happy National Pretzel Day! Thank you so much, German and Swiss German settlers for bringing your “brezel” to North America. It has gone through many changes over the years. I am an absolute -aholic of sweet and savory harmonies. 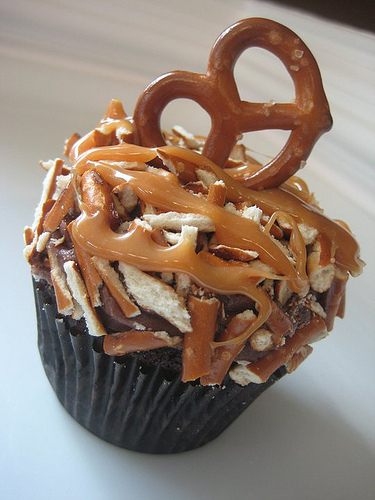 It stands to reason that one of my favorite variations is the chocolate covered pretzel. Small, crunchy and delightful. But there is a range of sweet pretzel interpretations. Take your pick! 5 Days of Global Goodies: In A Cup! 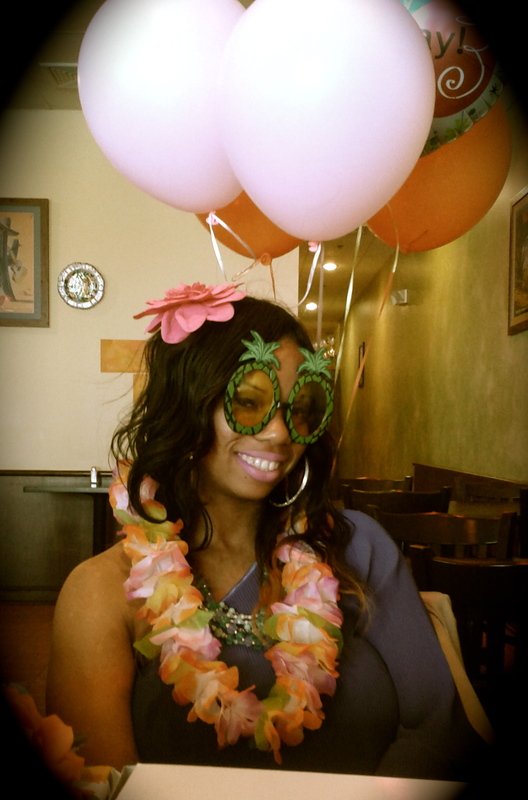 This week is my sister’s birthday. 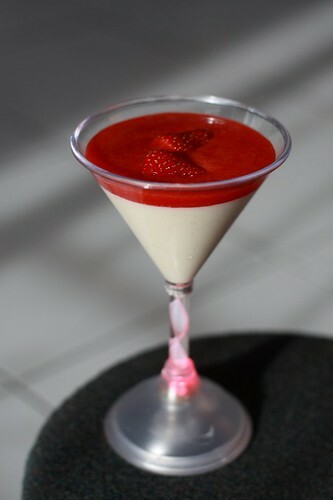 So, in honor of her sweet tooth existence, let’s shine a light on los postres, les gourmands, i dolci! Yes, the rest of the week is all about the sweets. I’ll begin with some of her favorites. 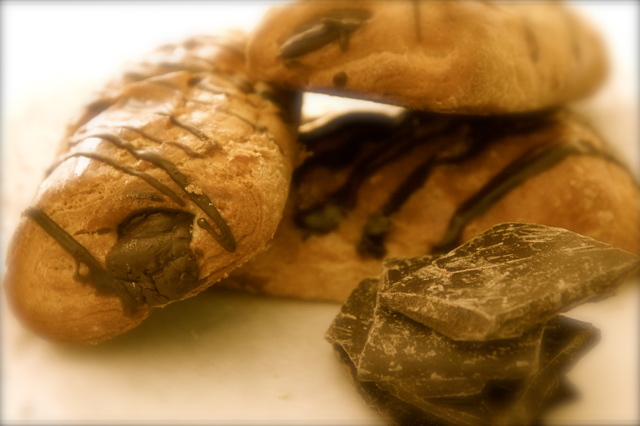 The napolitano de chocolate (in Spain), pain au chocolat (in France), chocolate-filled croissant (in the US). The first and best placed she ate these were at a bus stop in Madrid. Who woulda thunk it? According to her, the bakeries didn’t hold a candle to the bus stop. 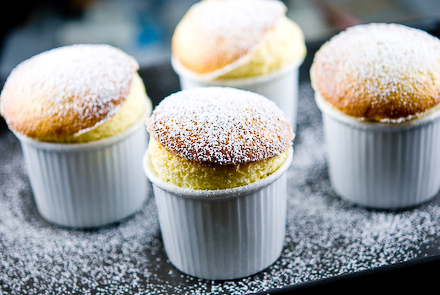 Take notes, bakers! 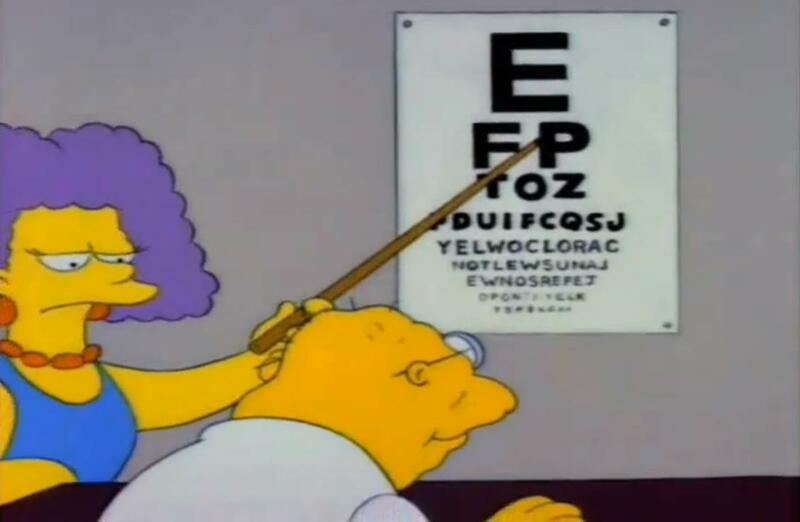 Hol-y cow…the death of us both. 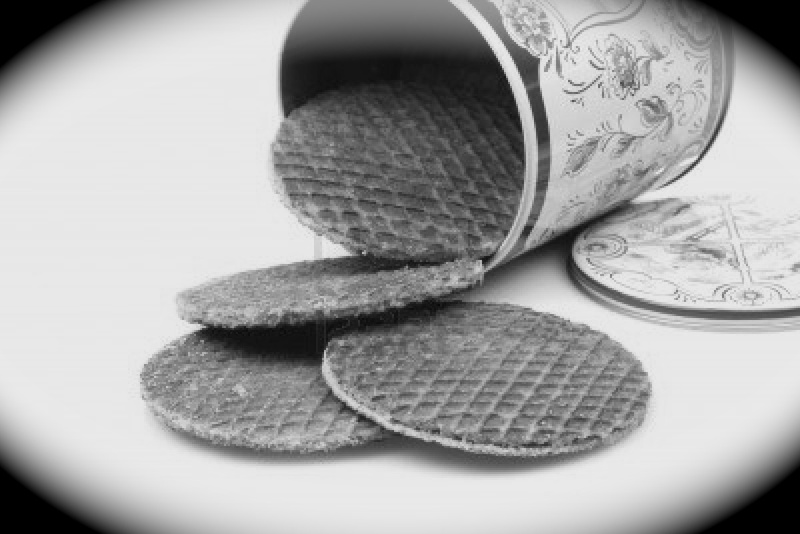 Stroopwafels. They’re just so good, I don’t know where to begin. A Dutch specialty, this waffle sandwich is all kinds of irresistible. It’s made of two thin waffles with a caramel syrup holding them together. It puts you right on the edge of a sugar high. They’re sweet but the cinnamon cuts the sugar just enough to make you think that you’re not really consuming 50g of sugar. And its softness somehow makes you eat them twice as fast. They’re typically eaten with tea. BUT, I discovered that dipped in Cream of Wheat….uuuh! 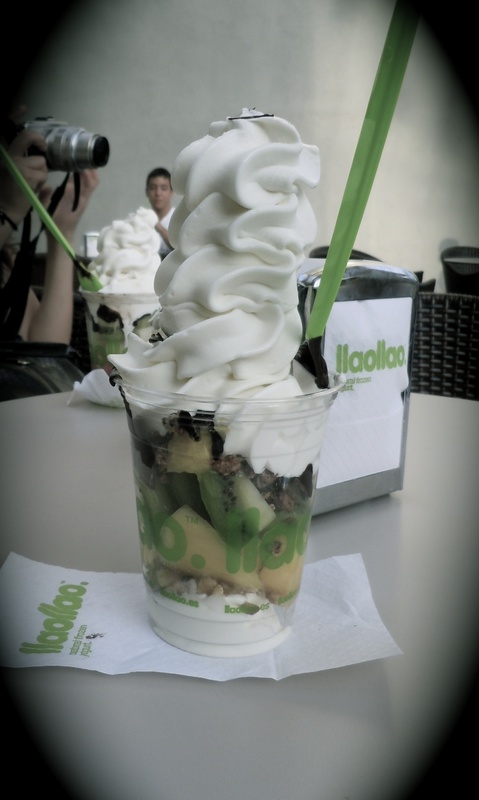 Llaollao (pronounced yao-yao), another Spanish must. I’m no frozen yogurt connoisseur but this is the best we’ve had. It’s a tangy, tart, sweet cup. Ordering the ‘Sanum’ is the best deal. You’re able to choose three different fruits, a chopped topping and a drizzle. Mine goes a little something like this, “un sanum con kiwi piña, fresa, muesli y chocolate, por favor.” Translated, “a sanum with kiwi, pineapple, strawberries, granola and chocolate, please.” Wait a minute or two for it to soften so that everything blends together. Can’t beat it. 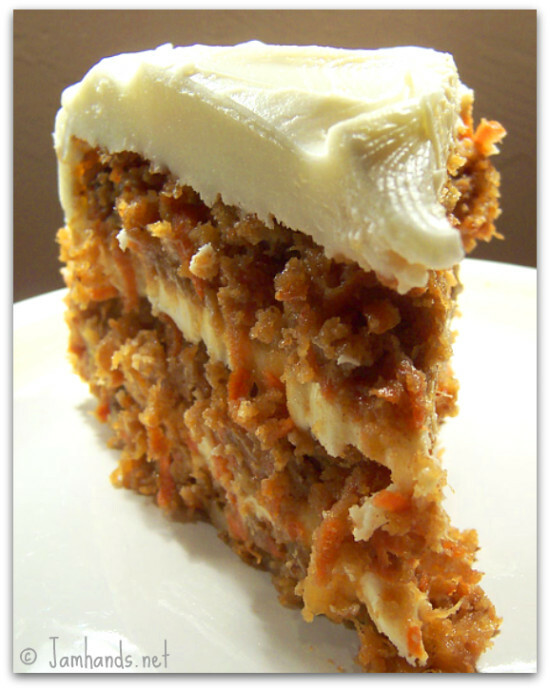 Good ol’ American carrot cake. Not much else to say. Just yum!!! LOVE this song! Thank you, Janelle Monae and Erykah Badu for keeping instrumentation alive! There’s something downright majestic about the night view of a city. It somehow provides a sense of escape from reality, even if only for a second. 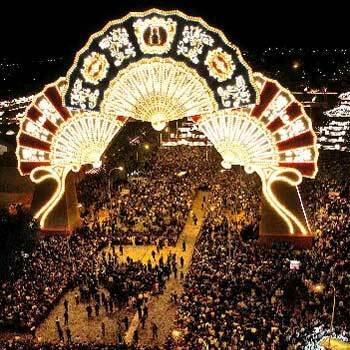 The lights of feria are no different. 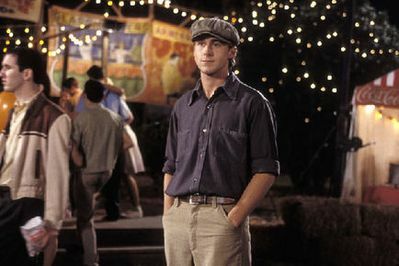 In this case, if you close your eyes, you’ll feel like you’re on the set of The Notebook (kicked up a notch). Imagine. Lights out. Well, lights on. 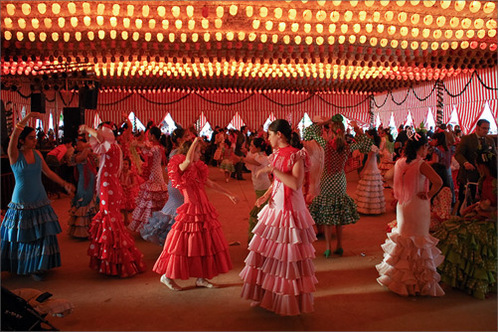 Aside from the dress, aside from the rides, aside from the proper food pairing stands the dance: sevillanas. From the age of three, youngsters learn how to move. 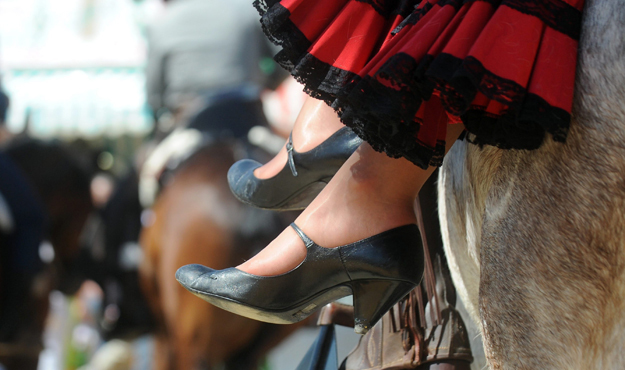 The art of circling each finger one by one, stepping firmly, twirling about and ending each segment with “Ole!”, is what gives life to the fair. With this, it’s a party! Watching alone makes me want to stomp and fling my hands. 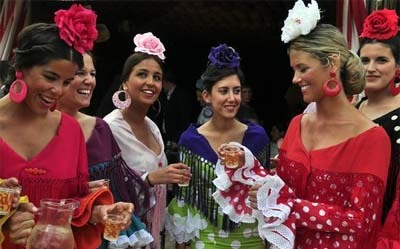 Ruffles are in this season but they’re a way of life for all women of feria. The dress…it’s all about the dress. They can cost as much as €800 (over $1,000). And the key to making it pop is all in the appropriate accessories and voila, look completed. 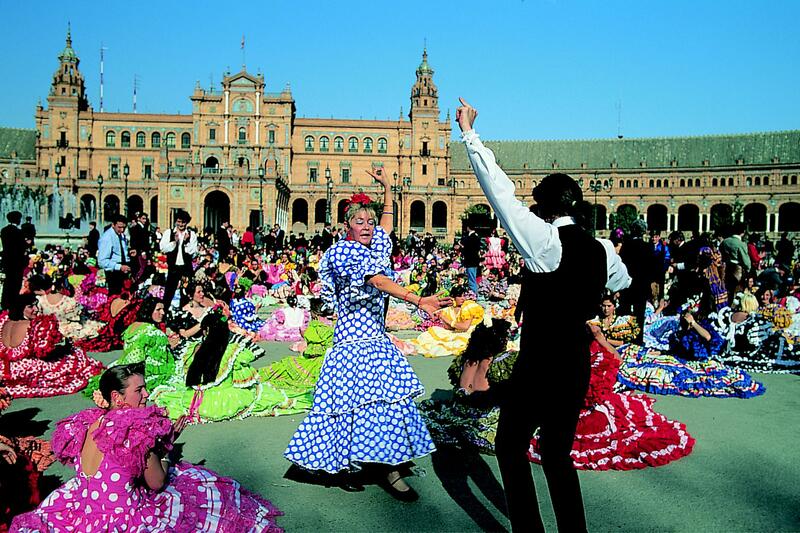 Start with a dress, full of volantes (ruffles), colors and often printed with lunares (polka dots). Then top it off with a flowing pañuelo (shawl). To match, find a big and bold flor (flower). Next, earrings. Plastic hoops are popular. The fancy folks may opt for sparkles. And finally, shoes. Kitty one-strap heels are very traditional. And functional for those that need to last until 6am! 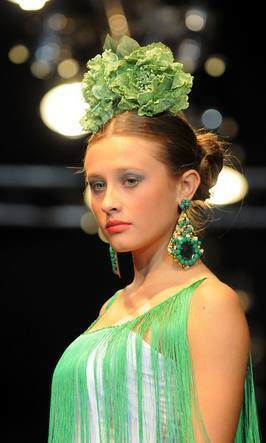 ….and for those of us that don’t have the head-to-toe gear but still want to look festive. Anything colorful wins! No good fair exists without the proper food and beverage. 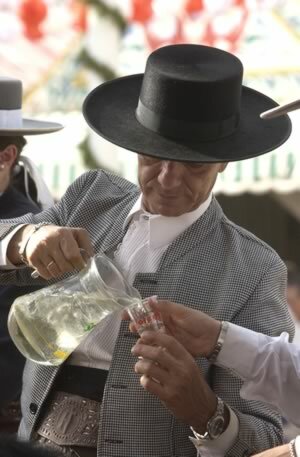 The official drink of feria is a cocktail called rebujito, a mix of Sprite and Sherry. 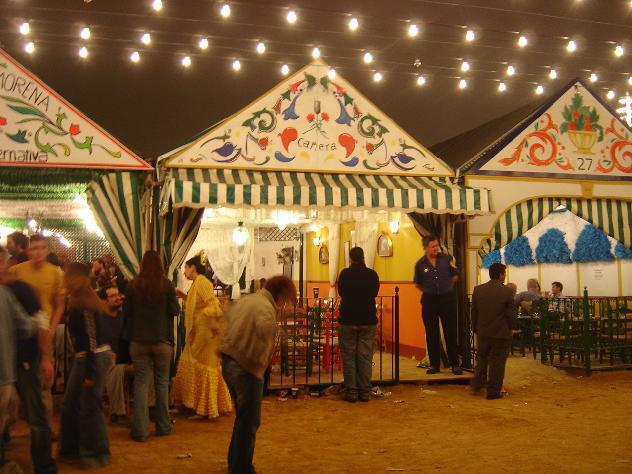 As for the food….well montaditos (traditional Spanish mini-sandwhiches) aren’t feria-specific. But they are quality picks for any occasion. 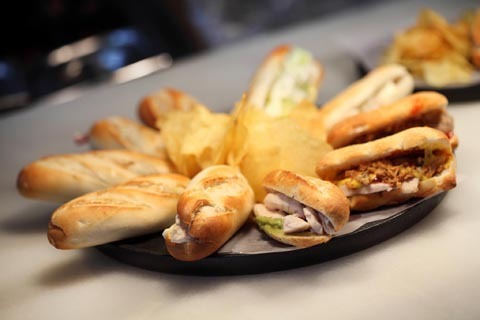 We all love to find good, reasonably priced bites and that’s exactly what 100 Montaditos provides. 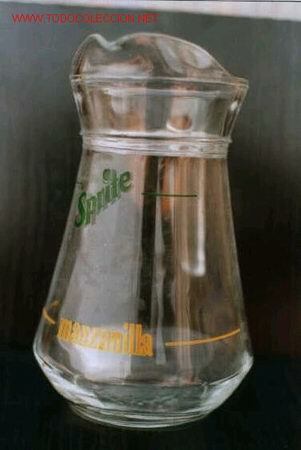 This Spanish chain is designed around the idea of providing high quality products at competitive prices. 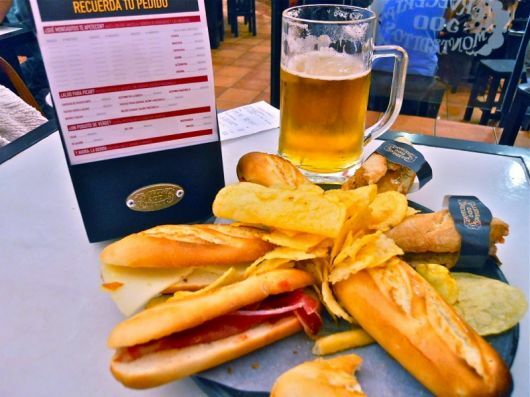 Here, montaditos are available in 100 varieties (hence the name 🙂 ) and cost between one and two euros (about $1.30-$3) each. Wednesdays you can get any of them for only €1 (about $1.30)!! 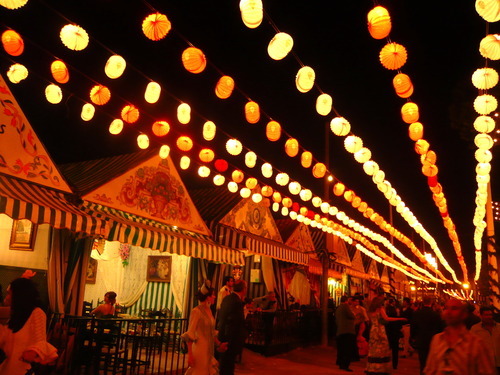 Most purchases at any fair tend to be overpriced. 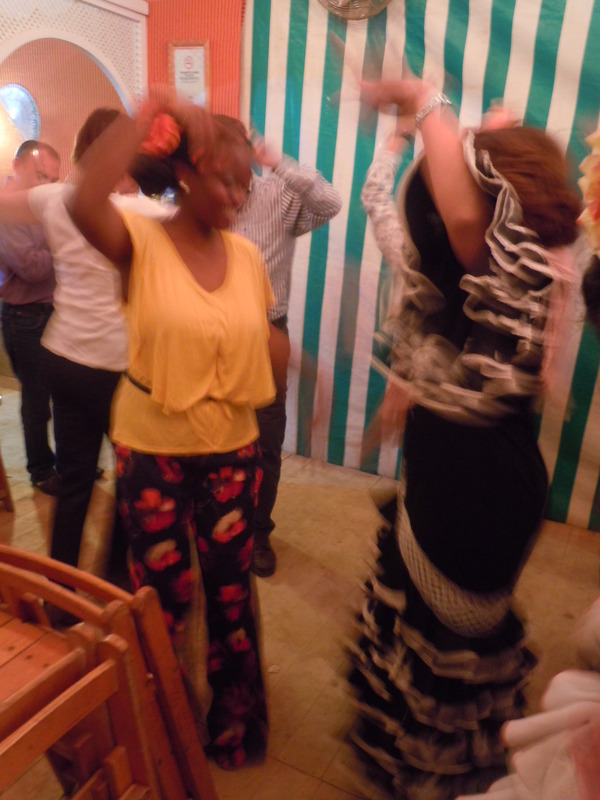 So today, a strategic eater and feria attendee would plan to load up on €1 sandwiches then dance the night away with some rebujitos. 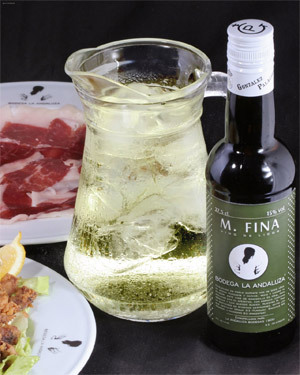 Even when it’s not feria time, be sure to stop at 100 Montaditos and taste something rebujito-ish if ever in Spain! 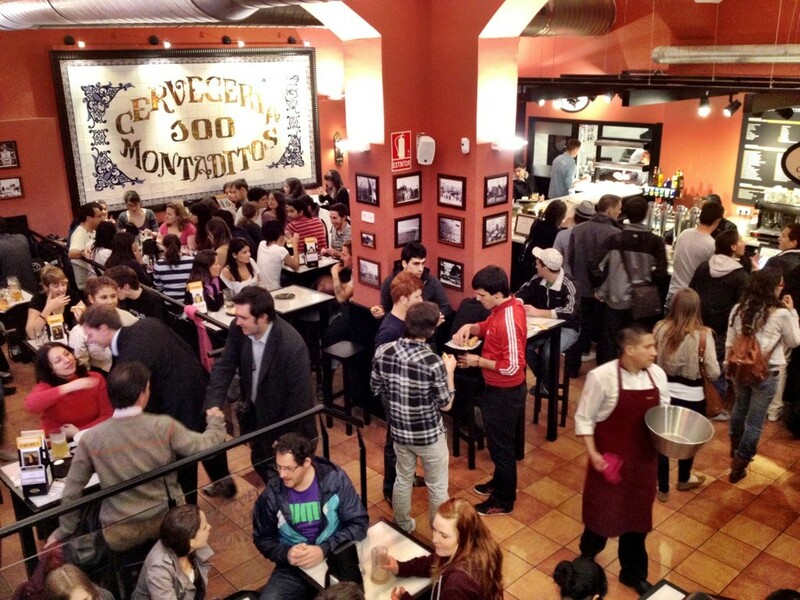 Good news: 100 Montaditos has expanded to over 250 locations around the world, and plans to continue growing. It’s already in Florida. May be coming to your city next!